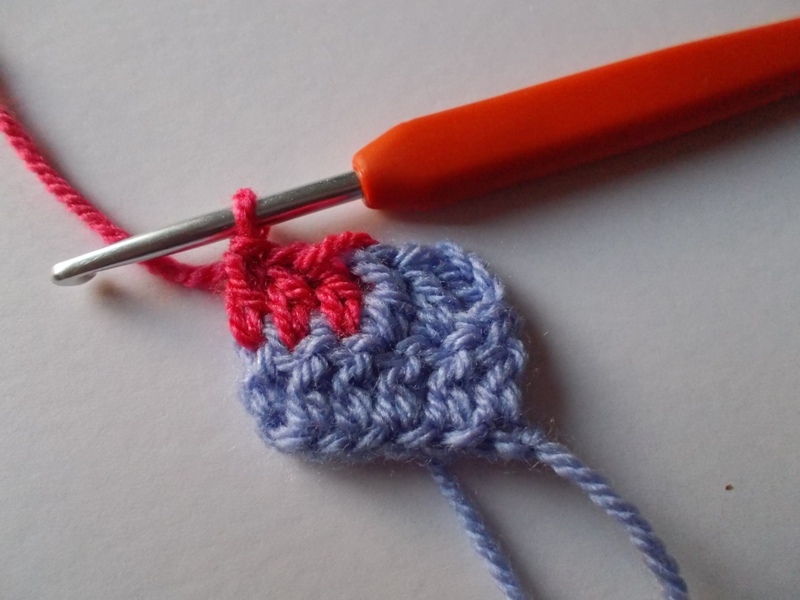 In this example I’m changing colours on a row that is being worked in the treble crochet stitch. The same principle applies though no matter which stitch you may be working. This method will make a neat tidy join between the two colours. 1. Work your last treble crochet to just before the last yarn over. Two loops should be on your hook. 2. Wrap the new colour around your hook for the last yarn over. 3. 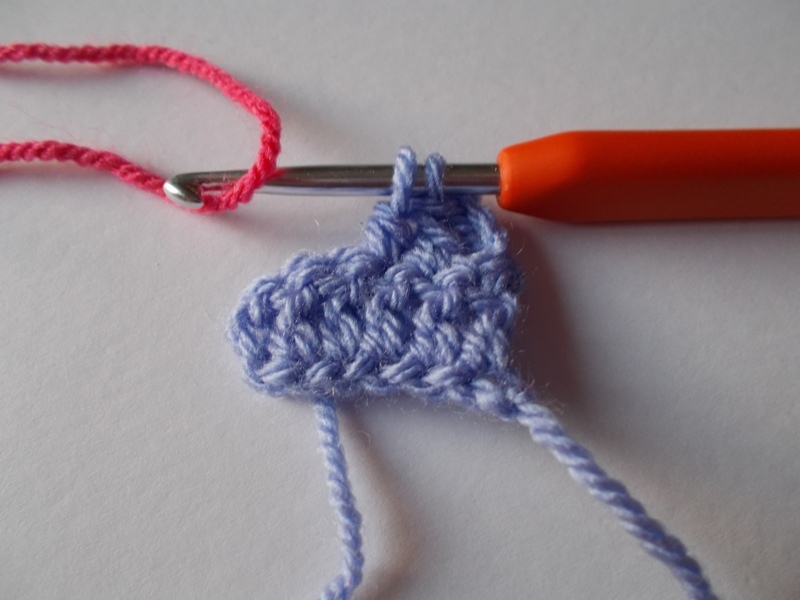 Pull the new colour through both loops completing the treble crochet. You now have your new colour attached. 4. Continue working in your new colour. 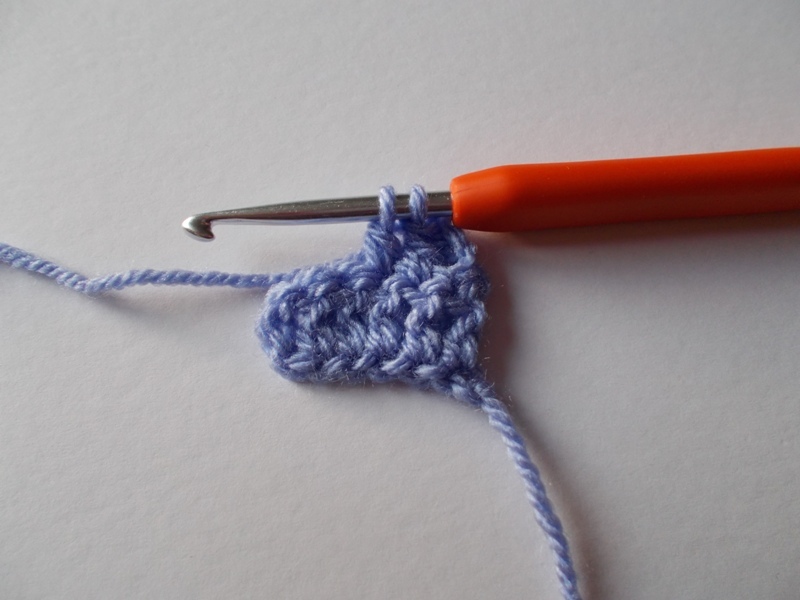 As I said this example is shown in the treble crochet stitch but the same steps apply for the other crochet stitches. This example is also shown mid row should you want to change colours at the end of a row or round you just follow the above steps. 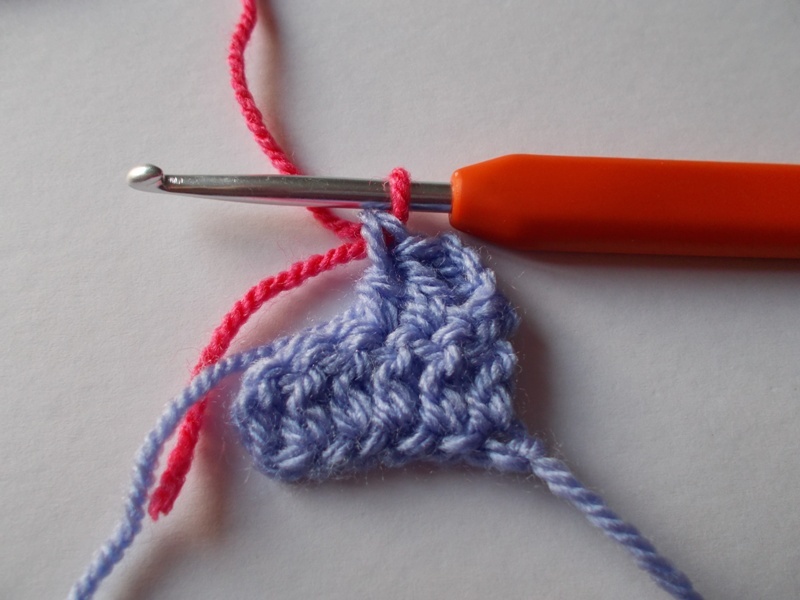 This entry was posted in Crochet, How To and tagged Changing Colours, How to change colours. Bookmark the permalink. Well, I guess I’ve been missing your blog as every time I went it took me to Celtic Knits which is great but then I noticed…..your “blog” and here I am. It doesn’t take much to confuse me! LOL! Thanks for that tip, I’ve never seen it before but I will be using it from now on. I’ve given the blog a cleaner look and tidied things up. Your welcome I hope it’s of use to you.